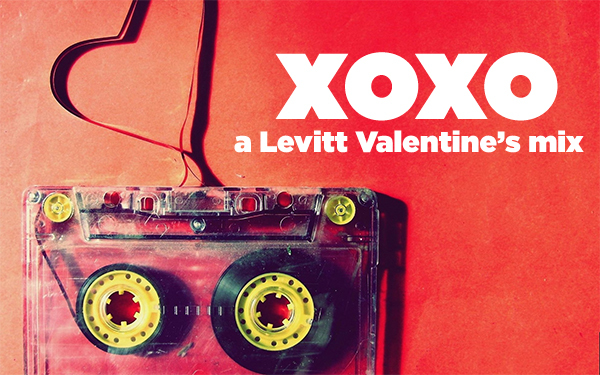 Valentine’s Day is this Sunday, and if you’re still looking for the perfect playlist to serenade your sweetheart with, check out 16 of our favorite love songs by artists who’ve graced Levitt stages across the country! This romantic playlist features songs by Marcella and Her Lovers (Levitt AMP Cleveland, 2015; Levitt AMP Lafayette, 2015; Levitt Shell Memphis, 2015), Orleans (Levitt Pavilion SteelStacks, 2015; Levitt Pavilion Westport, 2015), Dawn and Hawkes (Levitt Pavilion Arlington, 2015 & 2014), Rocky Dawuni (Levitt Pavilion Los Angeles, 2014, 2013 & 2010; Levitt Pavilion Pasadena, 2015), Rita Coolidge (Levitt Pavilion Pasadena, 2015), Roosevelt Dime (Levitt AMP Charlottesville, 2015), Marshall Crenshaw (Levitt Pavilion SteelStacks, 2015; Levitt Pavilion Westport, 2002), Louie Cruz Beltran (Levitt Pavilion Los Angeles, 2007; Levitt Pavilion Pasadena, 2015, 2009 & 2004), Janiva Magness (Levitt Pavilion Pasadena, 2014), Johnnyswim (Levitt Pavilion Los Angeles, 2015), The Statesboro Revue (Levitt Pavilion Arlington, 2015), Ruby Velle & The Soulphonics (Levitt Shell Memphis, 2015), José Feliciano (Levitt Pavilion Westport, 2014), Mike Farris (Levitt Shell Memphis, 2015 & 2014), Jon Cleary (Levitt Pavilion SteelStacks, 2015) and Bruce Robison & Kelly Willis (Levitt Pavilion Arlington, 2014, 2012 & 2011). Fun fact: three of these artists are made up of married couples! Can you guess which ones? Answer: Dawn and Hawkes, Johnnyswim and Bruce Robison & Kelly Willis. And if you’re looking for a date night activity for Presidents’ Day, don’t forget to catch the 58th Annual GRAMMY Awards!